Pipe Fittings, Pex Fittings, Flanges, Couplings, PVC Flanges, more! Search Matco-Norca’s extensive selection of wholesale pipe fittings and plumbing fittings including Black and Galvanized 150 & 300# Malleable Iron fittings Brass fittings, Copper fittings, Pex fittings, PVC fittings, CPVC fittings, and so much more. 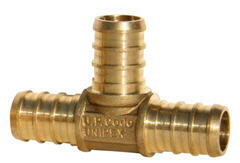 See why Matco-Norca is the go-to source for your wholesale plumbing and pipe fittings needs. Want help? Contact us for product information or to find a Rep near you.